"The Squire of Hyde Park"
Click on the banner above to go to the FDR homepage at the University of Virginia's Miller Center. Click on the buttons below for in-depth information about FDR's Presidency. FDR's mom clothed him in dresses until he was five. In 1933, for the first time in history, all members of the Electoral College were invited to a Presidential inauguration to witness FDR take the Oath of Office. FDR holds the record for the most vetoed bills by any President. 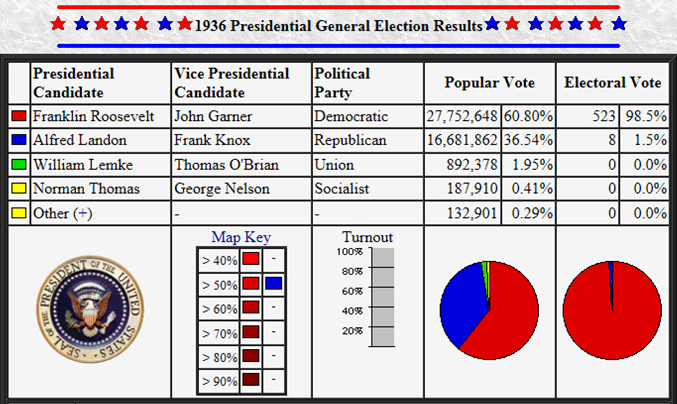 Granted, being elected FOUR times helped FDR hit 635, well surpassing Grover Cleveland's 584 vetoes. The 20th Amendment was ratified in January 1933 and changed the date when a President took office from March 4th to January 20th. As such, FDR began his first term on March 4, 1933 but his second, third, and fourth terms on January 20th. During FDR's first term as President, the 21st Amendment was ratified in 1933. The amendment repealed the 18th Amendment, which had ushered in Prohibition during the "Roaring Twenties". All Presidents have the power to issue pardons, which is the forgiveness of a crime and the cancellation of the relevant penalty. (The most famous was President Ford's pardoning of Nixon following Nixon's resignation during the Watergate Scandal.) 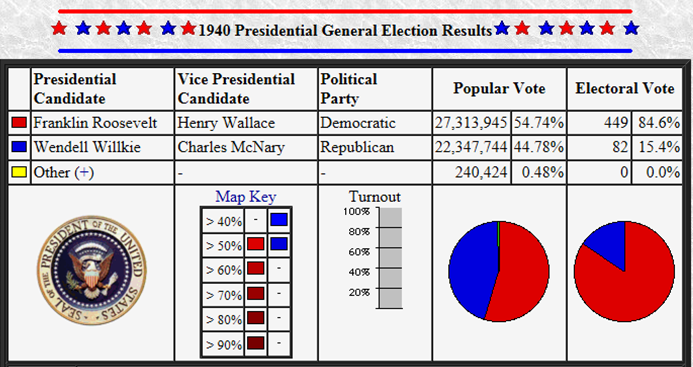 FDR granted the most of any President... a jaw dropping 3,687 pardons. The second most pardons issued by a President came under Woodrow Wilson (2,580 pardons). William H. Harrison and James Garfield didn't hand any out. 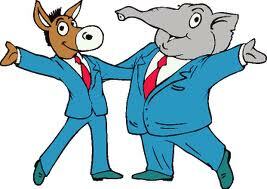 "Franklin" and "Theodore" Roosevelt share a famous name but were only distantly related: they were fifth cousins. Teddy was more closely related to Franklin's wife, Eleanor, who was his niece. (She was the daughter of Teddy's brother, Elliot.) In fact, when Eleanor married FDR, Teddy was the one who "gave away the bride". Martin Van Buren was a third cousin twice removed to Theodore, and Zachary Taylor was a fourth cousin thrice removed to FDR. Got all that? Still, if you dig deeper, you'll find that FDR was related - by blood or marriage - to 11 former Presidents. It was rumored that both Franklin and Teddy Roosevelt had their family crest tattooed on an undisclosed location. There are rumors that FDR was a big drinker. He always just seemed to find his way around alcohol. One good example: A doctor put FDR on a low-fat diet to try to help his hypertension and heart problems. But FDR became underweight, so the doctor told him he'd have to put on weight again. FDR's plan to gain it back? Drinking mass quantities of egg nog. At 10:00pm on Sunday, March 12, 1933, a worried nation sat down by its radio to listen to FDR's first "Fireside Chat". For a little over 13 minutes, FDR explained just how they had reached the problems they were in... and how they would get out of it. He took complicated economic material and put it in a "user-friendly" style. More importantly, FDR showed America that he cared and talked them through the crisis. FDR gave a total of 30 "Fireside Chats". 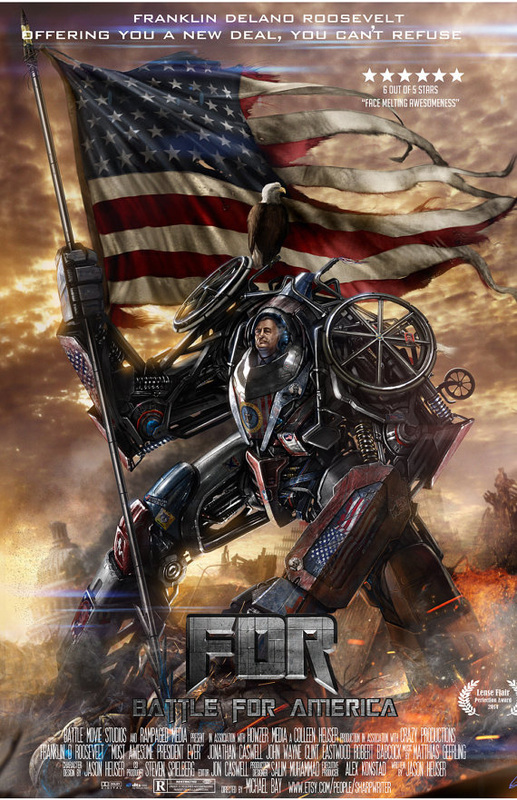 If anyone represented the struggles of the Great Depression, it was America's very own leader, FDR, who couldn't walk. 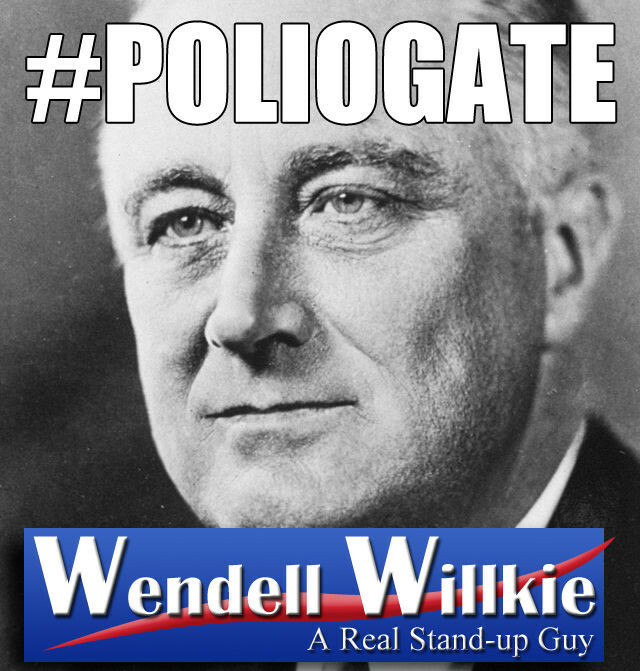 In August 1921, FDR contracted an illness while on vacation that was diagnosed as polio. This resulted in permanent paralysis from the waist down (he was only 39 at the time). For the rest of his life, FDR refused to accept that he was paralyzed. He tried a wide range of therapies, including hydrotherapy. At the time, FDR was able to convince many people that he was getting better, which he believed was essential if he wanted to run for public office again. Fitting his hips and legs with iron braces, he taught himself to walk a short distance with a cane. In private, he used a wheelchair, but he was careful never to be seen in it in public. Great care was also taken to prevent his being portrayed by the press in a way which would highlight his disability. When FDR died in 1945, few Americans knew the pains he took to conceal his disability. Sitting mostly at his desk or at a lectern, FDR was never seen by the public in the wheelchair he used daily for two decades. Reporters and photographers followed an unwritten rule to keep the disability secret, and media appearances were orchestrated with FDR seated or able to reach a podium with minimal movement. In fact, of the 35,000 pictures taken of FDR, only two show him in a wheelchair. On December 7, 1941, Japan launched a surprise attack on Pearl Habor, effectively pushing the U.S. into World War II. The next day, FDR delivered one of the most powerful speeches in history. Click here to watch/listen to it. 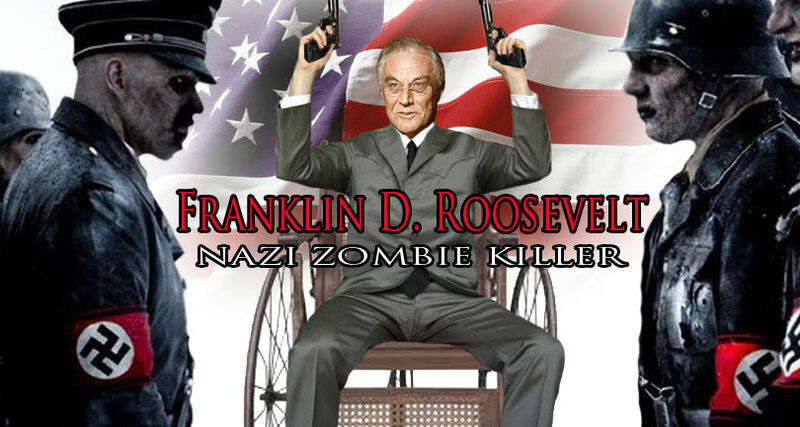 On February 15, 1933 in Miami, Florida, Giuseppe Zangara fired five shots at FDR. The assassination attempt occurred less than three weeks before Roosevelt was sworn in for his first term in office. Although the President-elect was not hurt, four other people were wounded and Chicago Mayor Anton Cermak was killed. Zangara was found guilty of murder and was executed on March 20, 1933. Some historians believe that Mayor Cermak (and not FDR), was the intended "hit". Why? The mayor was a strong foe of Al Capone's Chicago mob. 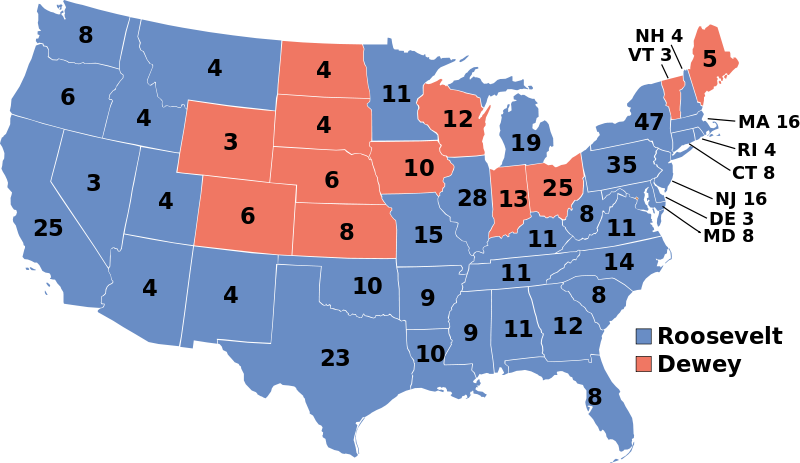 FDR won the Election of 1940, becoming the first President to win a third term. 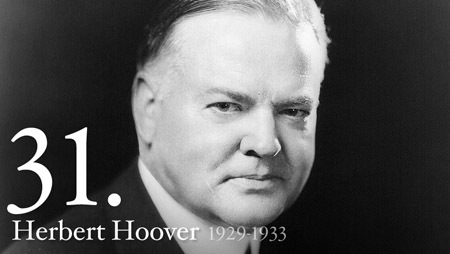 He would also win the Election of 1944 (but died on April 12, 1945). The 22nd Amendment, ratified in 1947, made George Washington's "unwritten" rule that no one should serve more than two terms an actual written rule... and the new law of the land. FDR's health was in decline as he prepared in 1944 for both a fourth run at the Presidency and the aftermath of World War II. An examination by his doctors in March revealed a variety of heart ailments, high blood pressure, and bronchitis. Those close to the FDR (and even those who saw him speak in public) noted his haggard and weak appearance, his flagging energy, and his increasing lapses of concentration and memory. 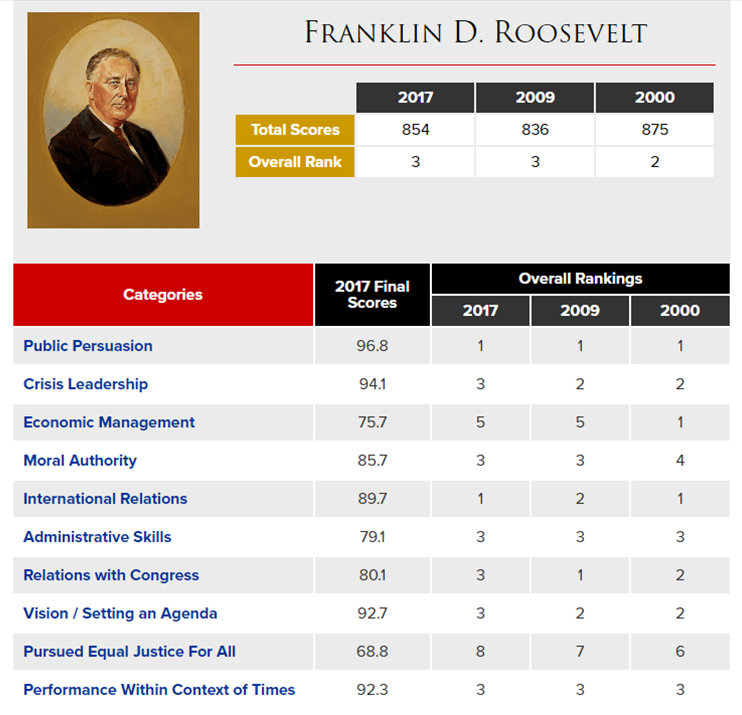 Most of the American public was unaware of the President's struggles, and FDR delivered a few key, command performances in 1944 that quieted concerns. Nonetheless, FDR's election victory over Thomas E. Dewey in 1944, in addition to the Yalta Conference the following February, put the President under immense strain. In April 1945, FDR returned to Warm Springs, Georgia, a destination that had served since the 1920s as his favorite retreat. There, on April 12th, while sitting for a portrait, he collapsed and died of a cerebral hemorrhage. 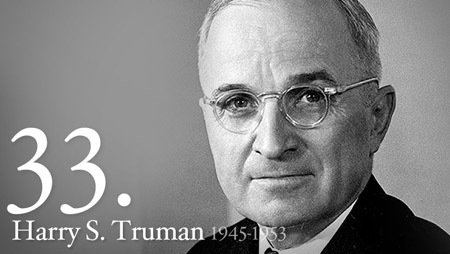 Vice President Harry S. Truman took the Oath of Office the same day. The Penguin... as in the bad guy from Batman... anyone? Yes?